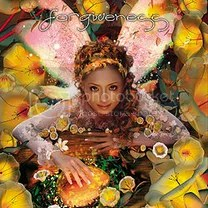 forgiveness is the thirtieth single by Japanese singer Ayumi Hamasaki, released on August 20, 2003. ‘forgiveness’ was used as the theme song for the dorama Kougen he Irasshai. This single reached #1 on the Oricon charts and charted for 12 weeks. It sold 222,194 copies, becoming the #36 single of 2003.
forgiveness is the main ballad of this era and it’s quite a mysterious and emotional one. I always found the melodies in the verses a bit off, but that’s just personal taste, it just doesn’t really sound all that appealing to me. Other than that, I really like the buildup and the full out use of the strings in the chorus. Vocals could’ve been better, but for a long track it flows very well. Okay, so they repeat the ‘Gyuttoshite mitari // jintositari // shintoshitari‘ part of ourselves “Kentaro Takizawa Remix” way too much in the first part of the remix and it’s basically just a very fast beat and hardly any melody (the melody that is actually there hardly fits the vocal melodies). They stripped away everything that was appealing of the original. The only thing I liked were the alterations to the vocals, like vocoders and such. Thankfully they stayed pretty much true to the original for HANABI ~episode II~ “HAL’S MIX 2003” and it isn’t too long. They added a soft lingering beat in the background and that’s pretty much it, but it gives it just the right touch-up. A very subtle remix and the better one on this single. The rest of the single… a bit of a pity.